"He (Tim) was always prompt in calling us back and was very knowledgeable and helpful in determining what plan would work for us. We wish all customer service experiences were as good as this one. I believe Tim has strong expertise in the available plans." "Jim Kinert was a big help. 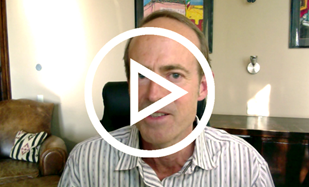 Jim was knowledgeable & walked me through the confusing maze of healthcare." * Note: Over-the-counter drugs are no longer considered qualified expenses unless prescribed by a doctor. 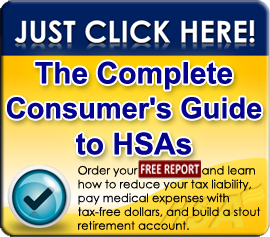 This site describes basic information on services and benefits of the many HSA Accounts available. It is not intended to provide legal, health, or tax advice. Consult your own legal, medical, and tax counsel for guidance on issues that may be affected by your specific circumstances. Please note that if you intend to use the HSA Account to pay your deductible or other services covered under your health care plan, we strongly recommend that you always comply with the conditions of your plan, including your pre-certification requirement. Are you getting the most from your HSA?